We’re getting two new compact mirrorless cameras with Canon and Fujifilm debuting new offerings. We’ve already written about the former, and now the latter takes the form of the Fujifilm X-T30. What gives it such a billing? Well it’s quite light for one at 383 grams (sans lens of course), while still packing one of Fujifilm’s latest lenses (X-Trans CMOS 4) with a 26.1 megapixel resolution and an X-Mount for a range of different lens options. One of the interesting features on this mirrorless camera is phase detection autofocus with the company claiming nearly 100 percent of frame coverage. This essentially means the X-Processor 4-powered system aboard the Fujifilm X-T30 is able to autofocus on almost every portion that one sees via the viewfinder. In terms of video recording, the X-T30 can capture in 6K (6 240 X 3 510) to yield better 4K quality. Recording times though are rather low, with 4K lasting about 10 minutes from a fully charged battery, and Full HD at around 15 minutes. Shifting to some of the other important elements, the X-T30 sports up to 51 200 ISO for light sensitivity and a rear mounted tilting 3″ LCD screen with 1.04 million dots on offer. Like the new Canon EOS RP there’s no exact local launch date or availability, and we have not seen it listed by any South African retailers for pre-order at the time of writing. That said Fujifilm South Africa has given the new offering a late March 2019 release date. They also note that the silver and black colour options will be available locally first, and then followed by the charcoal silver variant. 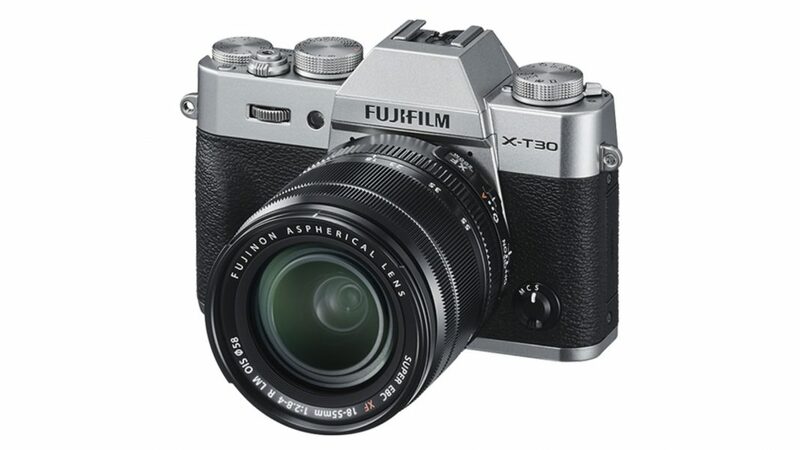 In terms of Stateside pricing though, the Fujifilm X-T30 is recommended to retail for $899 (~R12 578) for the body and $1 299 (~R18 175) for the body and 15-45mm lens kit.